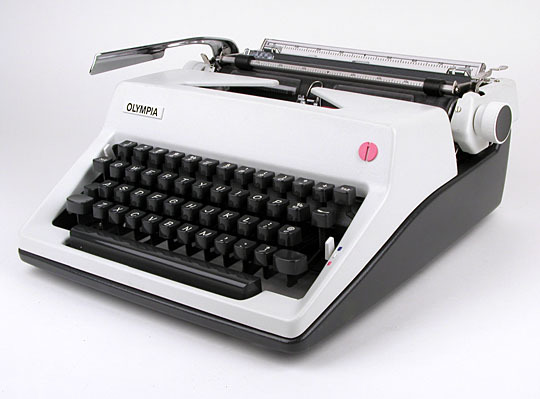 The writer's typewriter of the 70s. Ever since their introduction, Olympia SM 8 & 9 models have been very closely tied to the fates and fingers of authors and writers. They're dependable, comfortable to use, and nice and solid in feel and function. 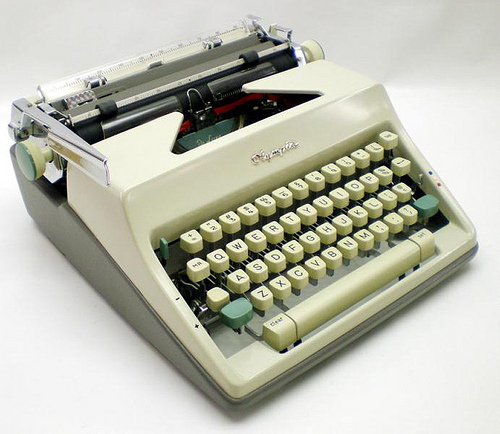 This machine is probably the most preferred writing tool for anyone prefers a manual and it sure will serve for many years to come. With its appealing new linear styling, the Olympia SM 9 DeLuxe is a unique blend of beauty, performance and precision-built reliability. Letter-perfect for home, school or office use, the SM 9 comes fully equipped with every advanced and worthwhile typing aid. Theres everything from convenient half-spacing (for ruled index cards, math, physics, etc.) to a correcting space bar (for inserting of omitted letters). 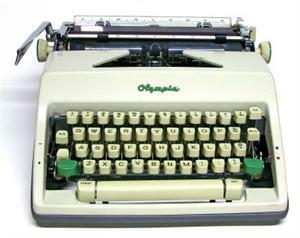 No effort has been spared to provide the maximum in typing ease and efficiency. Every part precision-built to assure trouble-free performance year after year. Theres no doubt you simply cant buy a smother, faster, more efficient probable at any price. This portable came with a standard 10 wide carriage. An optional, wider and more versatile 13 carriage was also offered at the time of introduction. With a writing line of 12 , this model is ideal for forms, statistical data and tabulated work making it a practical and economical choice for professional or small office use. Please contact us for availability.